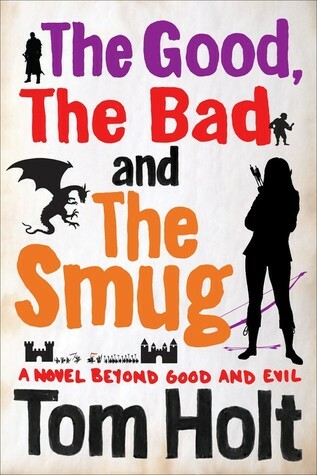 The Good, the Bad, and the Smug – Holt’s most recent book continues the YouSpace series, taking place mostly in the same fantasy world as The Outsorcerer’s Apprentice. Mordak, the King of the Goblins, is planning on taking evil in a new direction, and to that end he’s started working with an elf journalist named Efluviel. The two of them seek to find out who the Rumpelstiltskin-like man is who’s been flooding the human kingdoms with gold, and find out he’s actually a disgraced investment banker. We also learn what happens to goblins who are accidentally transported to our Earth: they get jobs playing monsters in the movies. Holt develops a humorous culture for his fantasy land, including the goblin versions of YouTube and Facebook. And since it’s YouSpace, the surprisingly formidable old man and his always-hungry nephew Art put in an appearance. 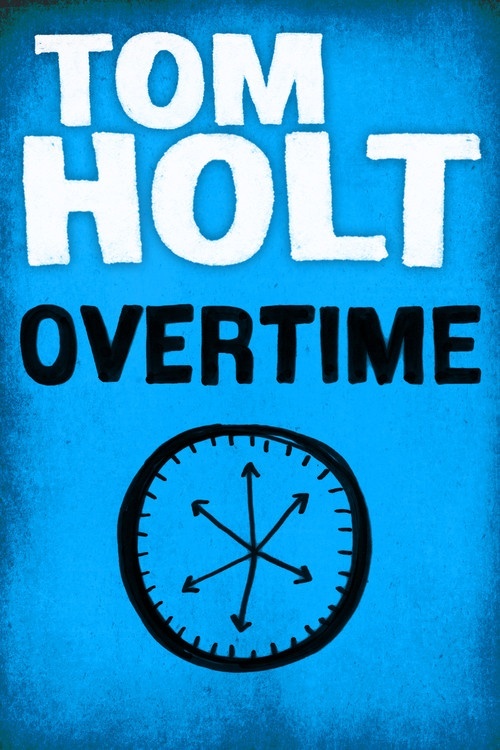 Overtime – This early Holt novel deals with some themes the author would develop more thoroughly in later works: time travel, the extension of historical legends into the modern day, and businesses that will do anything to make a buck. Despite some funny concepts, like an investment firm with access to time travel that invests in the Crusades, it’s not as good as later stories that use these same ideas. It’s based partially on the story of Blondel, the wandering bard who sought King Richard I by singing the first part of a song only the two of them knew at every castle he found. As the story begins, he’s been fruitlessly searching at castles across time and space, and also performing gigs in different eras. He teams up with a World War II pilot named Guy Goodlet, and the two of them end up having to battle the Antichrist, who shares a body with a future pope. It’s rather confusing, and I didn’t find the characters all that interesting. The story basically admits that the love subplot between Guy and Blondel’s sister comes out of nowhere; I’m not entirely sure why Holt includes a rapidly-developing romance in pretty much every book. It’s worth a read, but I don’t recommend it as a starting point for Holt. 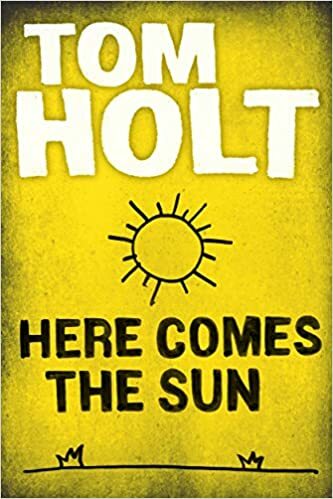 Here Comes the Sun – Holt combines old beliefs in the celestial hierarchy of angels with the British Civil Service to demonstrate just why the world is such a mess. Not only is the Sun wearing out, but one of the angels has been forced out due to his finding out about how the origin of life was botched, and the devil Ganger (who’s a pretty nice guy despite his job) brings in a mortal named Jane, who has some ideas as to how the universe can be run more efficiently. It’s pretty funny, but it’s clear that Holt was still developing his style in these early books. 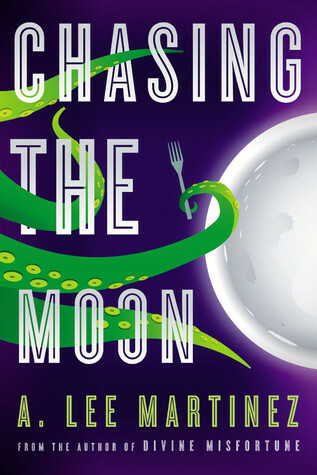 Chasing the Moon, by A. Lee Martinez – Even compared to the other Martinez books I’ve read, this one is weird. An ordinary woman named Diana rents an apartment, only to learn that it comes with an insatiable alien deity known as Vom the Hungering, and her landlord does various things to keep the universe running properly. Soon, she finds herself caught up in a dimensional nexus full of monsters, where a cult is working to bring about the destruction of the Moon by a wolf-creature. The wolf is called Fenris, and while Diana is aware that it’s a different wolf who chases the Moon in Norse mythology, the monsters tell her that Fenris is easier to remember. The plot is convoluted, but I did enjoy seeing the monsters interact with the mundane world and discuss their respective philosophies. James and the Giant Peach, by Roald Dahl – I saw the 1996 animated version of this some time ago, but don’t remember it all that well. For some reason, what really stuck with me was how, near the end, there was a crane as big as the Empire State Building. Where would they keep such a thing? The corresponding part in the novel is less direct on how James and the peach get off the top of the skyscraper. Andy Partridge was originally hired to write songs for the film, but they ended up not using them and getting Randy Newman instead. The demos were released on the Fuzzy Warbles collection, and are definitely worth listening to. Anyway, in general Dahl fashion, James is an orphan being raised by abusive relatives who gets away through magic, in this case a potion that makes a peach and several bugs grow to incredible sizes. After crushing the nasty aunts to death, an event that no one is at all sad about, the peach floats across the Atlantic Ocean and through the sky, where James and the insects encounter all kinds of bizarre sights. I liked the personalities of the various bugs, each one having his or her own skills and foibles. As is common with Dahl, it manages to be both funny and kind of creepy. Near the beginning of the book, the peach rolls through a chocolate factory presumably intended to be Willy Wonka’s, although I believe Charlie and the Great Glass Elevator indicated that the factory was in the United States rather than England. This entry was posted in A. Lee Martinez, Authors, Fairy Tales, Music, Tom Holt, Uncategorized, XTC and tagged andy partridge, angels, blondel, chasing the moon, crusades, elves, goblins, here comes the sun, james and the giant peach, king richard i of england, overtime, roald dahl, the good the bad and the smug, youspace. Bookmark the permalink.